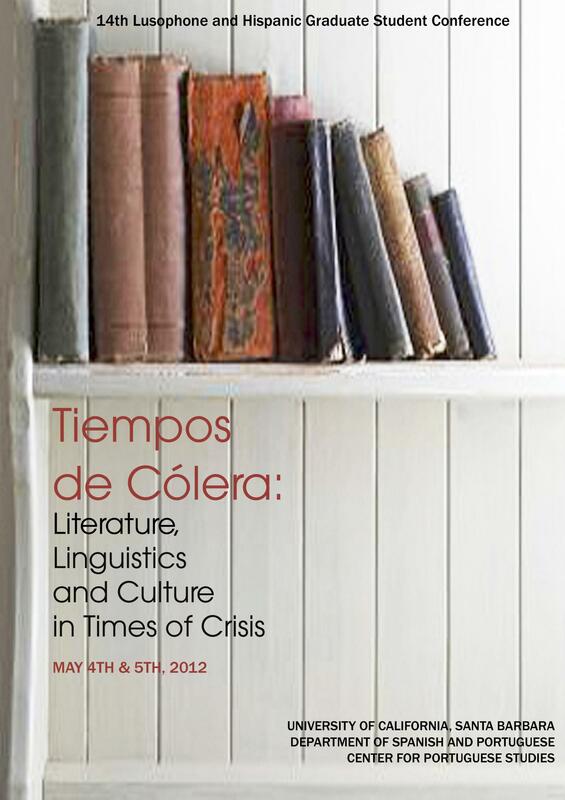 Conference: "Tiempos de Cólera: Literatura, Linguistics and Culture in Times of Crisis"
Contrary to growing clamor regarding the increasingly dire state of global affairs, the world has not come to an end, nor has western civilization reached the end of history. History continues to be written and, when necessary, rewritten. Social movements are regaining momentum in a way that has not been witnessed since the Roaring Sixties and Seventies. These protest movements are not limited to the poor and underprivileged Third World, but extend to the very doorstep of world powers like the United States and Spain. In the crosshairs of such movements is the injustice of economic systems which disenfranchise the majority and threaten the future of our youth to line the pockets of a wealthy few while at the same time devastating the environment and squandering limited natural resources. While there are those among the wealthy who provide jobs and promote social good, excessive greed has been widely lambasted as the source of society's ills. This duality is but one of many that characterize the myriad voices of outrage vying for prominence on the global stage. We therefore wish to explore these protest movements and their origins — with a particular emphasis on Spain, Portugal, Latin America and the United States — through a multidisciplinary lens that encompasses literature, linguistics, and culture.